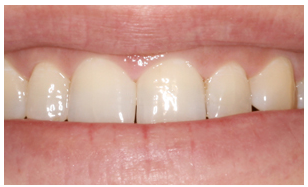 Many patients are told by cosmetic dentists that they need porcelain veneers or crowns which would require multiple visits, injections and the removal of good tooth structure when in reality all they have is an overgrowth of gum tissue which is commonly known as a gummy smile. 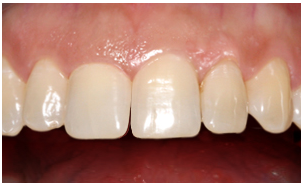 A gummy smile can usually be corrected by a simple procedure called esthetic crown lengthening. This procedure is minimally invasive where a small amount of gum tissue is removed with a dental laser and requires no sutures. After brief recovery your new beautiful smile will radiate.